New York City Street Photography | New York, NY.. Check out the link above, while searching for some of our upcoming work I stumbled upon this gem. I always love seeing how others view skateboarding and the art behind it. Check out Matt Alberts website and enjoy his work. 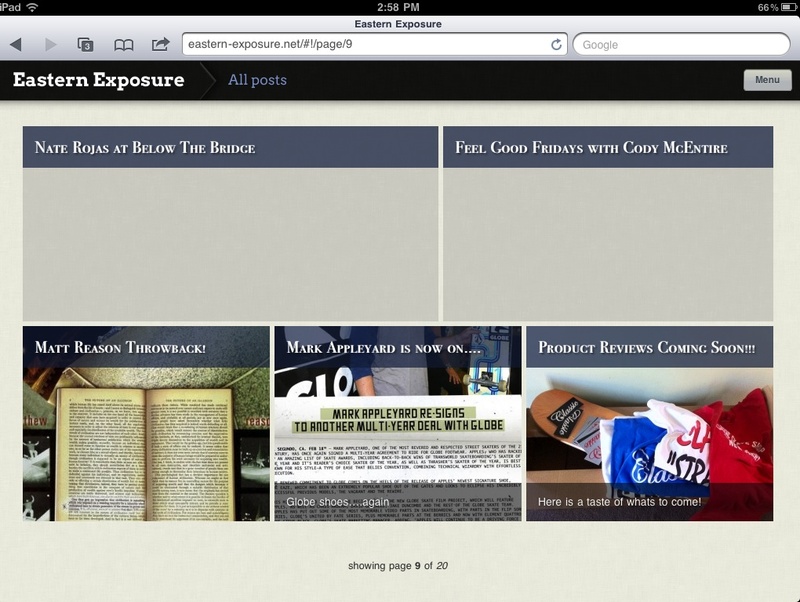 Get Eastern Exposure on your IPad! Technology is great. We have been working hard to bring you this, you can now view our site on your IPad in a new format. We have introduced MotionSlide technology onto the site and you can just swipe your fingers across and view our site just like a book! The guys over at Blind have revamped their site. Go check it out by clicking on the banner below.